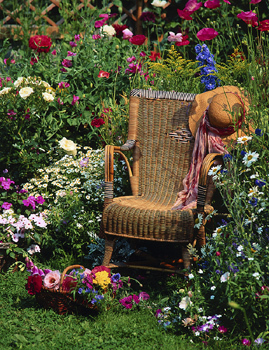 Put wicker, rattan or bamboo garden and outdoor furniture away at the beginning of winter . Cover it with old sheets to keep the dust off and store it in the garage or a garden shed where it will be protected from rain, wind and frost. This furniture should not be left out in the weather to freeze as it causes cracking and splitting and shortens the lifespan of the furniture.